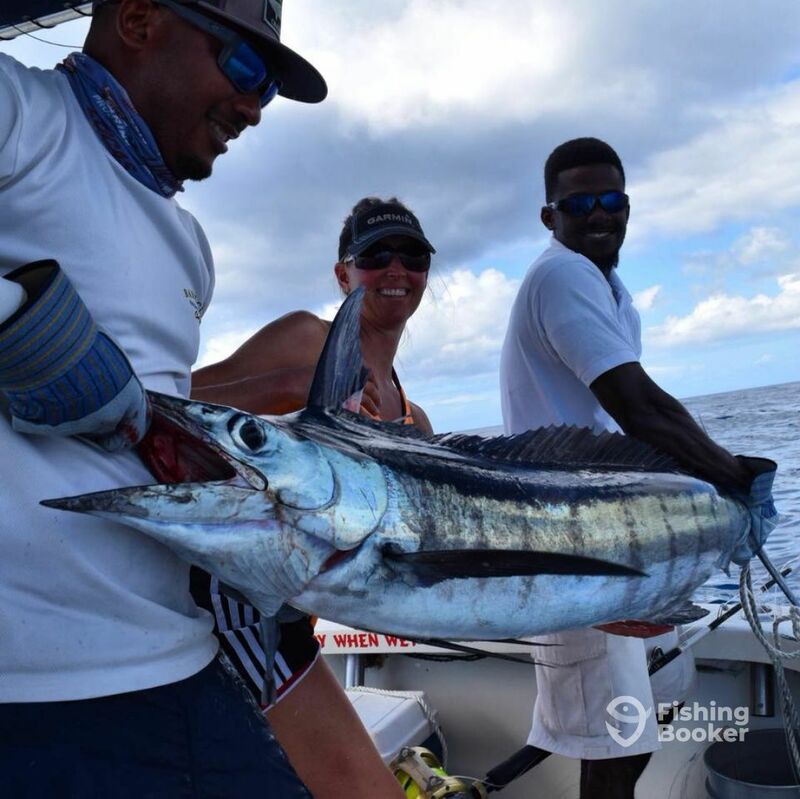 It’s time to tick awesome fishing off of your bucket list. 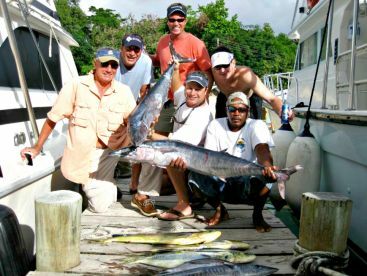 Book a trip with Mystic Man Tours today for an incredible time out on the beautiful waters of St Lucia. You’ll be in safe hands with this crew, who have years of experience and also offer other great activities. 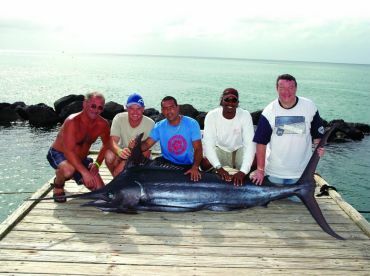 The Caribbean is home to some of the best fishing grounds in the world. 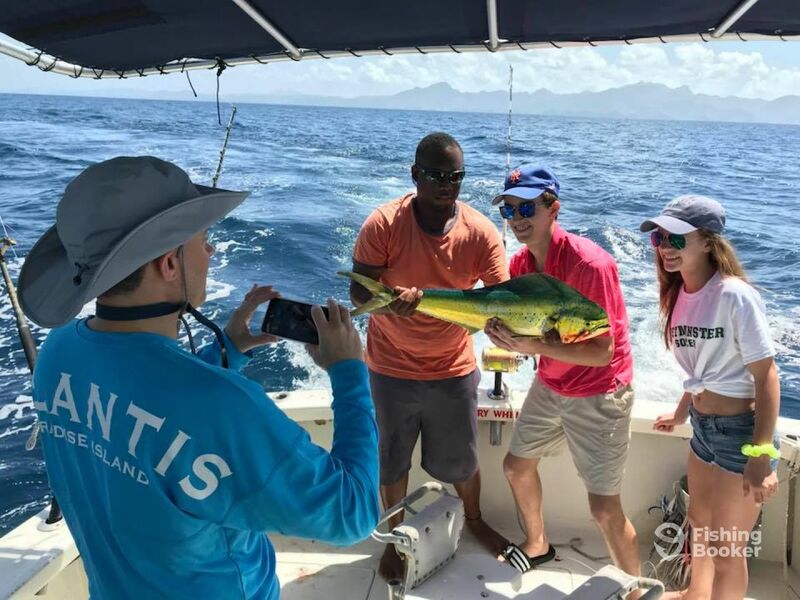 St. Lucia has some of the deepest waters in the Caribbean, which allows for year-round fishing of the many varied species that call these waters home. Hop on board the 31’ Bertram. You and 5 fishing buddies will have the space to fish in comfort. With twin 315 HP engines, and just 1 mile before you can begin fishing, you’ll have your lines in the water in no time. 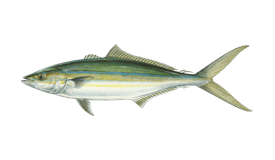 The fishfinder and the crew’s extensive knowledge of the area will keep you on the fish all day. This boat boasts full safety equipment, a restroom, and a fighting chair. This is perfect for when you are battling the deep sea fish. They’ll put up a fight, but you’ll have the first mate on hand to help you reel them in! 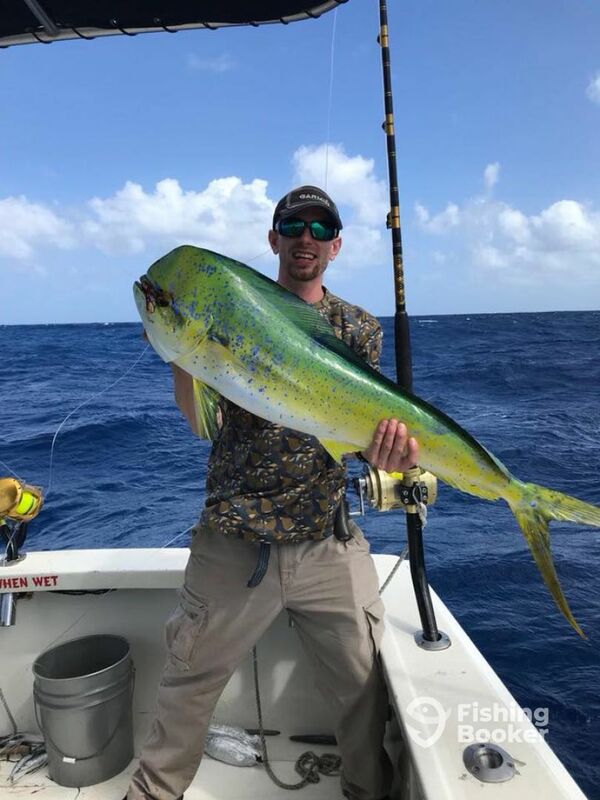 You’ll head out 6 to 8 miles offshore for the best fishing. 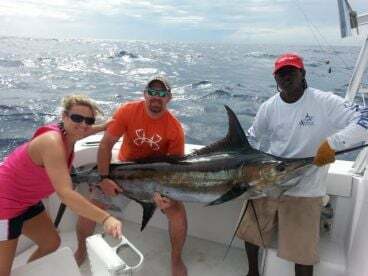 You will be jigging for Black Marlin, Blue Marlin, Blackfin Tuna, Yellowfin Tuna, Mahi Mahi, Sailfish, and many more. Everyone is welcome on board, from children to people who have never fished before. You’ll be using top quality rods and reels from Shimano which won’t let you down. Whether it’s your first fish or your hundredth, there is fish out there with your name on it! 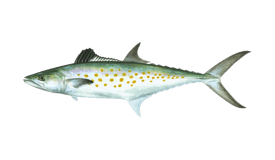 Also included in the price are all lures you’ll need and your fishing license for the day. Snacks and drinks are also provided. There is no better time to book! Join the crew of Mystic Man Tours today – they can’t wait to welcome you on board and start making some incredible memories together! 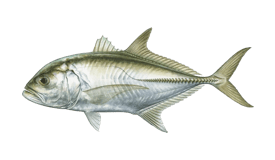 This 8 hour trip will have you deep sea fishing and vertical jigging. 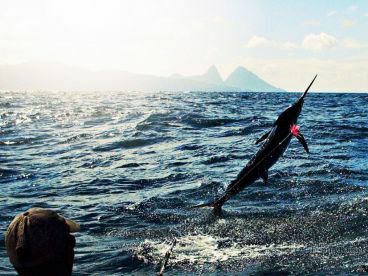 You can expect a huge range of species, included Blue Marlin, Yellowfin Tuna, Mahi Mahi, and many more. All rods and reels are included, as well as lures and the fishing license for the day. Drinks and snacks are provided, but you are welcome to bring along a sandwich. 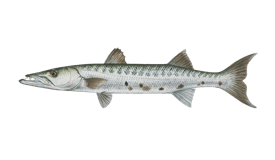 This 4 hour trip will see you high-speed vertical jigging for Barracuda, Kingfish, and many more species. All fishing equipment is included in the price. This included rods, reels, lures, and even your fishing license too. Refreshments are on the boat. Spend 4 hours high-speed vertical jigging. Expect to reel in Barracuda, Kingfish, and many more. All rods and reels are included, as well as your fishing license for the day. Snacks and drinks are provided. Bertram (Saltwater fishing) построена в 1969, обновлена в 2010. Мотор – 2 315 л.с. Cummins. 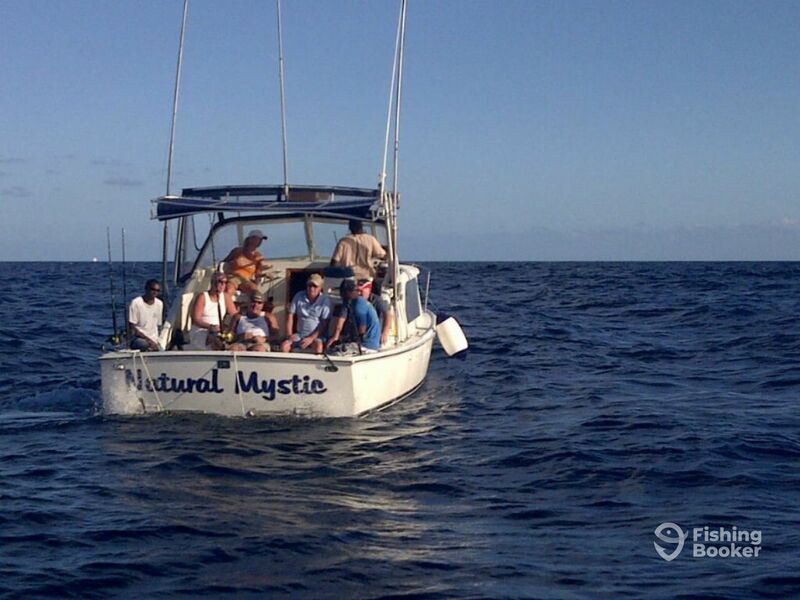 Mystic Man Tours run a variety of water-based activities on their large fleet of pleasure boats. 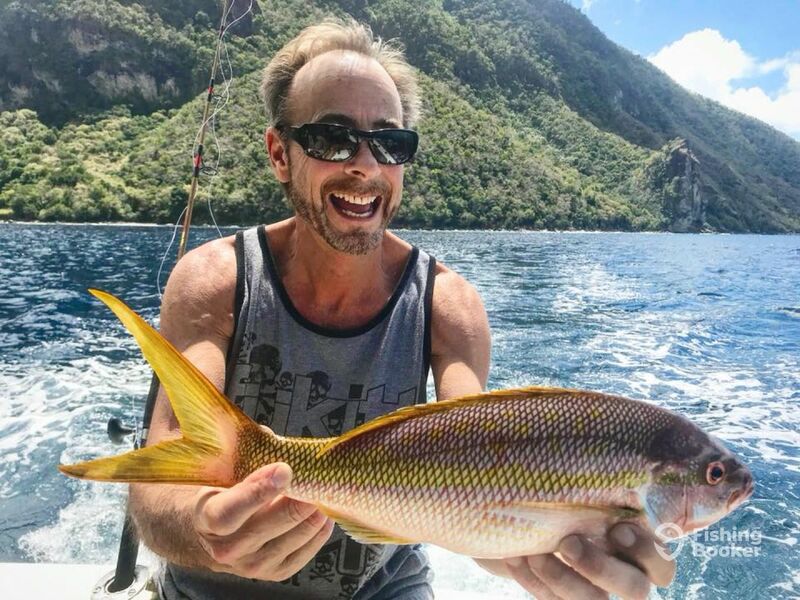 As well as fishing, they run whale watching, sailing, and snorkeling tours, but what unites all the diverse activities they offer is the passionate and knowledgeable staff who strive to do everything they can to make sure you are having a great day on the water. 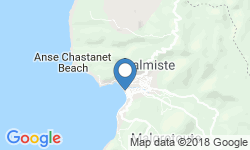 Their tours are professional, informative, enjoyable and memorable. You are sure to come back time and time again.